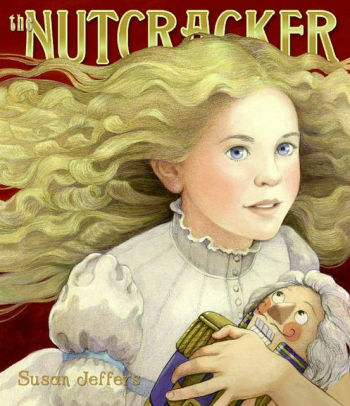 The Nutcracker by Susan Jeffers. Harper Collins New York, NY 2007. When I look for a picture book, I look for the pictures. That may seem obvious, but all picture books are not created equal. I want the illustrations to jump out at me with their stunning beauty. Now, I have nothing against fanciful, even silly pictures. I own a copy of Steven Kellogg’s Three Little Pigs, a delightful, fun re-telling of that famous tale. But when I walk into a bookstore and see beautiful detail, colors that grab me and unforgettable faces, I am more likely to purchase that book. 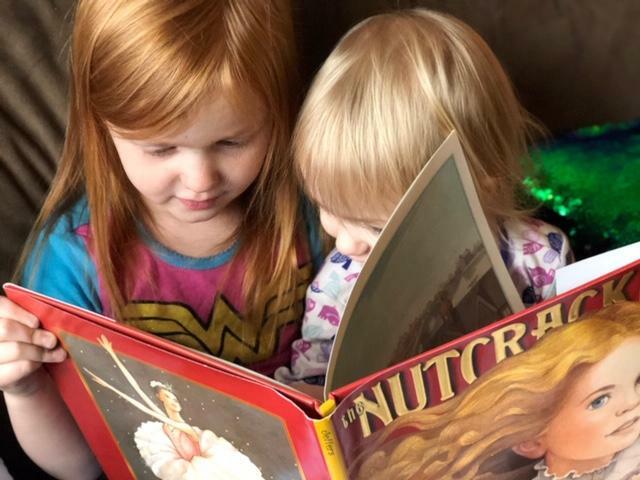 I have seen many Nutcracker books. I’ve been to the ballet many times as well. When my daughter was small, we bought Maurice Sendak’s version (which is a translation of E.T.A. Hoffmann’s tale.) That book, with his signature artistic style, depicts both the darkness and light of human nature and childhood. Unabridged, it was translated by Ralph Manheim and published after Sendak was commissioned to design a ballet for the Pacific Northwest Ballet. As magnificent as that edition is, it is heavy on text and not something you can put on your lap and read to a young child. I was looking for something a little different this year to give to my six-year-old granddaughter, before we went to the ballet. A huge fan of Brother Eagle, Sister Sky, when I saw Susan Jeffers name on this book, I immediately snatched it off the shelf. I wasn’t disappointed. Jeffers says when she was asked to do a Nutcracker book, she wondered what she could possibly say that had not already been said. She concluded that it was all about the dance. Dancers make their way through every page of the story. Text is minimal. This Nutcracker is all about the illustrations. They are lovely and detailed without being overwhelming. The first page has several different pictures, in blocks, as if they are photographs, depicting adults in different parts of the house getting ready for the party. One in particular reminded me of something my mother told me. The picture shows the adults in the ballroom, under the Christmas tree, while the children wait with anticipation behind the closed door, outside in the hall. Mom was German-American and told us how, when she was a child, the custom was that the Christmas tree was trimmed in the parlor, behind French doors. On Christmas Eve, the doors remained closed, while the tree was decorated by the adults. The children would wait anxiously outside the doors. When they were finally opened, there stood the tree, glowing like some magical apparition, lit with real candles. What I appreciated about this interpretation is that Marie and her mischievous brother Fritz are realistically portrayed to look like real children. The seven-headed Mouse King is sufficiently scary without being creepy. Jeffers use of double-page spreads emphasizes the visual aspects of the story over the text. That battle between the Mouse King and the toy soldiers? The “bullets” are wrapped hard candies. When Marie vanquishes the Mouse King his reflection is cleverly seen in a Christmas tree ornament. He looks like he is only sleeping. Jeffers inserts details like these that readers will discover anew with each re-reading. The dance of the Snowflakes and the Sugar Plum Fairy are all here. Once in the Land of Sweets, Marie and the Prince are treated to a performance by all the familiar characters of the ballet: Marzipan, Mother Ginger, and more. Susan Jeffers has not just created another Nutcracker. She has created an accessible, beautifully illustrated version in which the pictures tell the story, and every little girl and boy who aspires to dance can dream their way into the magic.